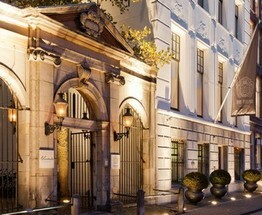 Find a luxury hotel in Amsterdam from the Hotique Hip Hotels Guide. Hotique is an independent guide, featuring luxury 5 star design hotels, hip hotels and unique boutique hotels including hip hotels in Amsterdam. View our featured hotels in Amsterdam below or search for a boutique hotel in Amsterdam. Hotel Dylan (formerly Blakes Hotel) is located on one of the city’s most famous canals, “Keizersgracht”. A 15 minute stroll will take you to the Rijksmuseum, Van Gogh Museum and the Anne Frank House. The fashionable Museum Quarter, famous for its designer boutiques is only a 10 minutes away from the hotel. Futhermore the picturesque neighbourhood De Jordan, as well as the 9 Little Streets with small exclusive shops, are just around the corner.